February 25, 2009 – Classroom learning cannot be confined to traditional mediums in a 21st century school. The next generation of learners want more. They want the ability to create and share in a virtual world. Lodge McCammon is a specialist at the Friday Institute and Ph.D. graduate of the College of Education. It is his experience and vision that is bringing a new approach to capturing the attention of these millennial students. FIZZ is a suite of tools that allows teachers to safely broadcast their classroom. A website is created as the school’s very own video library, similar to YouTube. It is as simple as taking video from the flip camera, uploading and then viewing it with the students. Or, the students can view the content outside of the classroom and share their learning experience with friends and family. Jamie Hall, a teacher and math and science at department leader at Centennial Campus Middle School, is using FIZZ in his classroom this year. “Before teaching a lesson, I think of a way that I can use FIZZ to motivate my students to learn and now they are always asking if we can make a video to go along with what they are learning. The students can watch their videos at home with their parents and are excited to share what they do at school,” says Hall. FIZZ is currently in 33 schools across 7 counties in North Carolina. 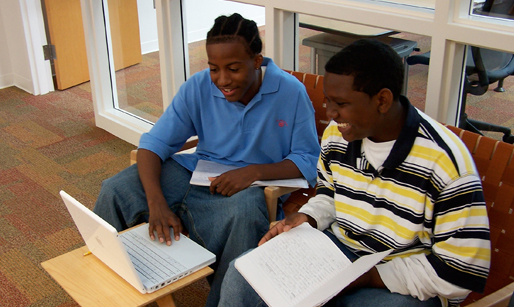 Over 1,000 videos have been uploaded to these FIZZ sites, K-12.